Dongcheng district is one of Beijing’s busiest districts in terms of things to do and sights to visit. It is centrally (East) located and is served by many subway lines, making it a very practical destination to live in and visit. Due to its size, the Dongcheng district is made up of many different precincts. Living in Dongcheng will definitely keep you busy and never leave you without anything to do! It is home to some of the more famed and traditional parts of Beijing which endlessly intertwine into a giant maze of narrow alleyways that a re a joy to get lost in, and trust us, you will get lost at some point! It is also home to many of Beijing’s other tourist attractions. 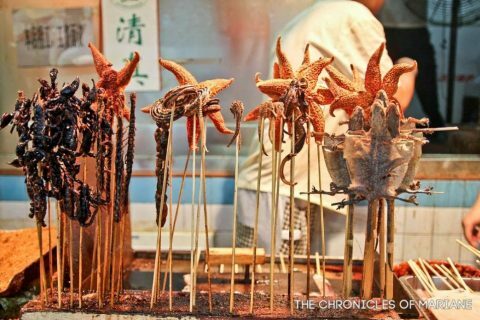 Stroll the streets of Wangfujing and try out some of Beijing’s best, and weirdest street foods there is to offer. Feeling brave? This is where you can try your BBQ’d scorpions and starfish whilst enjoying all of the weird and wonderful things on offer. It really is an eye opening experience but prepare for busy crowds in narrow streets because this is at the top of many peoples lists when coming to visit Beijing. Home to the famous Guijie (“Food Vessel Street”). This is also known as “Ghost Street” because of similar pronunciations in the Chinese character. Here you can explore 100+ restaurants pretty much open 24/7. There’s a range of different types of food from all over China for you to explore and enjoy! The Lama Temple, or Yonghegong, is a functioning temple for Tibetan and Mongolian monks. A place of peace and tranquillity right in the middle of Beijing? Who’d have known! You can pay the temple a visit and catch sight of the friendly monks roaming around the grounds. Home to the Temple of Heaven and many other parks, temples, museums and exhibitions. 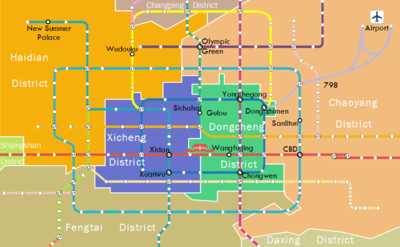 It is one of Beijing’s more compact areas. Here, you can also sample some Peking duck from one of the two original Peking Duck restaurants; Quanjude and Bianyifang. Tiananmen – home to Tiananmen Square in the centre of Beijing city. It is one of the top 20 largest city squares in the world. Around the square, you will find tourist attractions such as the Monument to the People’s Heroes, the Great Hall of the People, the National Museum of China, and the Mausoleum of Mao Zedong. Another area where you can explore less renovated residential hutongs. This is a good stop for a stroll and explore, as well as a glimpse into traditional life. Also home to popular expat bar Cafe De La Poste. 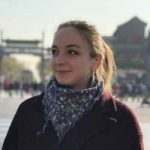 Living in Dongzhimen provides a happy middle between the up-market Chaoyang Park area and lively, vibrant Sanlitun area, but it is equally as expat friendly. It is well suited to young people with higher salaries due to the higher-end, newly built apartment complexes in Dongzhimen. These are all situated in modern apartment complexes that are complete with gardens, shops, and an on-site gym. However, there are also traditional Chinese-style “no elevator walk up 5 flights of stairs” kind of apartments – which will give you a great work out each day. As well as help you save the pennies! The neighbourhood is surrounded by large buildings and shopping complexes, making it a convenient but not so quiet area to live in. There are also many foreign orientated shops in Dongzhimen that you can enjoy! 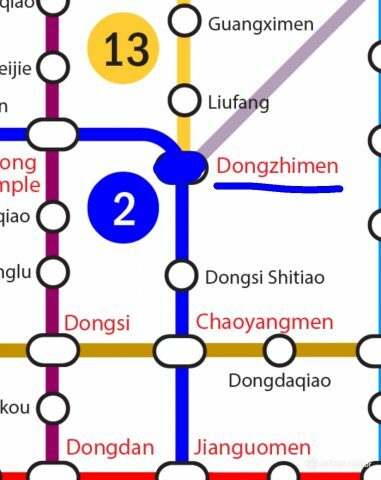 Dongzhimen is also conveniently located on the Airport Express Metro line meaning if you live near this stop, you’ll have easy access to Beijing International Airport whenever you go on your travels. Finding places to eat and drink in Dongzhimen leaves you spoilt for choice. If you’ve spent too many a night exploring Guijie, the street home to over 100 restaurants to choose from, there are plenty of places to choose from. Since new ones pop up every week, it is hard to pick our favourites. Plus, the best ones are often the random ones you’ll find on a walk and just happen to stop by in. You’ll find a great mixture of cuisine from all over China, but predominantly Yunnan food, Xinjiang food, and generic Beijing/North-East style food. A favourite, however, is, of course, Xiaolin Hotpot (晓林火锅). Whether you’re in China to live or just to visit- trying hotpot is a must. Not only is it super yummy and good fun, but pretty much every Chinese person you make friends with will ask if you like hotpot. You need to have your answer ready. The decor of this restaurant is very unique, in a “train style”. This is the reason behind its nickname “train bar”. What’s a city without its Irish Bar? Paddy O’Shea’s is a favourite amongst the expats. Apart from its laidback genuine Irish pub vibe, it also has a variety of nights on during the week – including comedy nights and pub quizzes. Get yourself a pint of Guinness and chill outside on a summer’s evening. The Beixinqiao neighbourhood is perfect for those wanting to live in a more traditional part of Beijing without being surrounded by newly built skyscrapers, foreign stores and big shopping complexes. It gives you the chance to live in Beijing’s old street/alleys, otherwise known as Hutongs. These provide a very traditional feel, whilst still being in the very centre of the city and its tourist attractions, bars, and restaurants. Beixinqiao is a relatively small neighbourhood, but still packed with people. Consequently, it can give a slightly claustrophobic feel with a lack open of green spaces around. 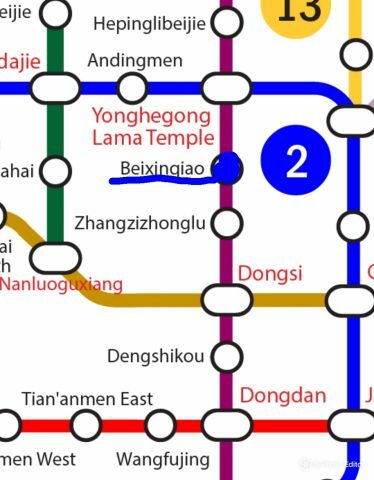 If you want to live in Beixinqiao, it’ll set you back a little more due to getting that proper “China feel” with your place which will most likely be a hutong. You’ll have access to many local grocery stores, bars and eateries whether inside or out. You’ll soon find your favourites. Fancy something Western? Head to El Nido’s western style bistro. This place in Beixinqiao serves home-style western dishes, and is hidden in the hutongs. A chilled vibe for fairly priced western food! The newly opened Queenie’s is a favourite for sandwich lovers. They have a great range of all kinds of sandwiches – on half decent bread too! It beats a Subway any day, and definitely hits the spot for that sandwich craving. So, after a meal in the Beixinqiao area, you can head to Cafe de La Poste (or, you can eat here too if Sandwiches are your thing!) for a few drinks with the local expats. A 10/20 minute cycle away you have Temple bar, and Modernista. 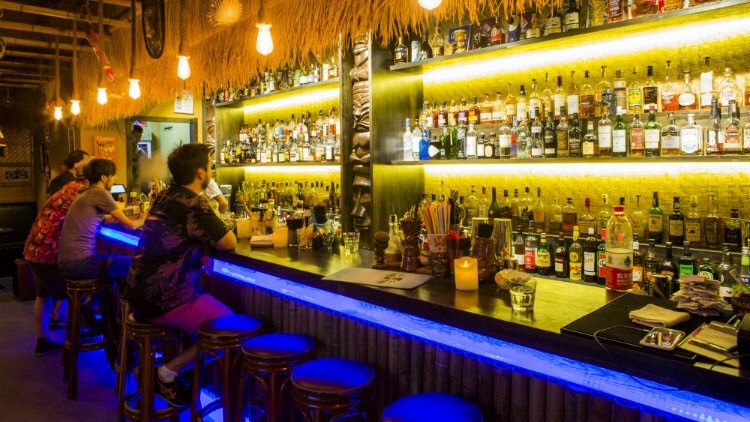 Two popular hangouts for expats and locals alike. Each place has different music nights on of an evening, each of them offering live events most nights. Head to Modernista earlier and catch one of their many shows in the underground speak-easy style jazz vibe bar. Then head back down the road to Temple where you will find a small complex of bars – Temple, Dada, and that other one that no one really knows the name of. But it’s there.